Tradition… a simple word, but one with a lot of power. The idea behind tradition is very simple. You take the lessons learned from those before you, and you try to apply them to the challenges you face today and to the challenges that you try to foresee in the future. So what’s the problem? The pull between generations has always been there and it is part of what we might call progress. Just think of Icarus flying too close to the sun on the wings that his father Daedalus had made for him. By our very nature, those of us who are older want to consolidate the lessons that we have learned in our lifetimes and pass them on to a younger generation. And those of us who are younger want to test these traditions because we are not always aware of the consequences and don’t understand the limitations that an older generation imposes. The balance between these two forces is very important; tradition and innovation being kept in check by each-other to make sure that progress forward is real and positive, not just an illusion or repackaging of an inferior idea. Daedalus, the great craftsman urged his son not to fly to close to the sun which would have melted the glue in his wings. But he also advised Icarus to fly not too close to the water which would have dampened his feathers and pitched him into the sea. He saw how success came from being both traditional and innovative. It’s been said that traditions die when a younger generation knows more than the preceding generation. There is a certain logic to this but it is very superficial; for example younger people are generally more tech-savvy, so there is no need for them to consult their parents about how to operate a certain digital device. A tradition in this way makes little sense, but even when it comes to operating a new piece of technology there is hard-won wisdom which should be applied; wisdom such as politeness, privacy, modesty and kindness. These are things that young people may not need technically but if they are to stay safe and be productive at the very cutting edge of digital technology, they need to learn these basic lessons or traditions. To be truly successful, a new technology does not totally eradicate the previous one. It builds on what is good, adapts and innovates, and phases out those things that are no longer relevant. Unfortunately some new technologies are so inferior that their promoters need to deny and smear all wisdom that came before, simply to justify their existence… and here is where we get to the sad tale of the rejection of traditional architecture in the 20th century. Let’s start by trying to define what tradition is. The word “Tradition” comes from the Latin words trans which means “across” and dare which means “give”. When combined, the word “Tradare” translates as “deliver” and often relates to legal matters of inheritance and transmission or transfer of property. The word as used today is more likely to be used in term of inheritance of knowledge from one generation to the next rather than physical property though. Tradition can be best described as a mechanism for handing down knowledge and experience through rituals and practices. But what kind of knowledge is transmitted through traditions if we consider that we have language and writing to do this too? Traditions are often concerned with knowledge that is not always suited to been written down. Today we don’t seem to recognise this fact, but much of the knowledge that we rely on today is unwritten and for all intents and purposes is un-writable. In many cases traditions are a far more direct and efficient vessel for transferring information than spoken or written word. The kinds of information I refer to relate to culture within families, communities, crafts, arts, industry, agriculture and dare I say it, architecture too. So the next question is why do we have traditions in the first place? We know that they transfer knowledge from one generation to the next, but why would we want to transfer this knowledge? In many ways it relates to the last topic “Nature” and the natural urge to improve our lives, to make things better, more durable more beautiful. And crucially it also relates to the transfer of lessons learned from mistakes we have made. It seems perfectly normal to tell others to avoid certain pitfalls and to provide possible solutions. In an earlier blog post, I described how the perception of the term “Classical Architecture” is very different from the reality. In this way, the word “tradition” is very similar. The perception is that Tradition is an anchor to the past, and that it holds back necessary progress that we need to face the future, when in fact Tradition has been and always will be a tool for progress and a foundation to build from. The common perception that tradition is something negative is quite selective and we seem to value the traditions that can be empirically quantified. For example, traditions around heritage that can be monetized by tourism are seen as valuable and therefore tend to be better protected and promoted. But how we value traditions is far more complex than this simple equation. As we have seen, Traditions are lessons learned from the past but these lessons may naturally lose their relevance through time. Traditions are neither god nor bad, they are simply patterns of behaviour informed by experience. Traditions such as hunting don’t make sense if these animals are endangered, or the use of rhino horn in eastern medicine does not make sense when we know from science that the substance is no different to that in our hair or fingernails. Long-valued traditions must always be challenged if they are to remain healthy and relevant. The use of rhino horn in traditional medicine is no longer tenable as the health benefits have been debunked and the animals themselves have become endangered. Tradition is a part of the evolutionary process that must be always be challenged and developed if it is to survive. Without challenges, there is no survival of the fittest, no natural selection and no evolution. Healthy living traditions ensure diversity and tolerance rather than a mono-culture by invigorating personal and community identity and cultural integrity. Healthy communities with strong identities tend to be better at adapting and integrating new influences. It is insecure communities who feel that their identity is under threat that feel the need to bang the drums of sectarianism loudest. Just like in evolutionary biology, traditions go through cycles of ebb and flow; strong traditions are periodically challenged and weakened, only to adapt and to come back just as strong and more suited to a new environment. In culture we can see this in the way there is constant change and revival throughout history. If we look at something like music for example, the electrification and recording of music, meant that certain traditional American folk music types morphed into new kinds such as blues, jazz, gospel and rock. But still the underlying traditions survived and revived, and live side by side with their offspring, still informing and supporting each other. In Ireland we can think of our own traditional music, which metaphorically speaking was at death’s door until the folk revival of the 1970’s which brought it out of the home and to a worldwide audience. Possibly the best example of tradition in music subtly influencing modern popular culture could be the use of classical, ethnic and traditional music in the soundtracks of TV shows and movies. Without the classical tradition in particular we would have no Star Wars soundtrack, or Superman theme, or to bring it right up date, any music used in the Marvel movie universe. Traditional music in Ireland is in a very healthy position now but it had to recover from a major decline in the mid 20th C. It did not move away from its core values but instead built on these qualities and adapted to the new realities of amplification, recording, broadcasting and by encouraging influences from across the musical spectrum. If we turn away from music and popular culture, and back to architecture, we can see that there has been almost complete collapse in the use of tradition. Indeed the term that most would use to describe the kind of architecture that now prevails, “modernism”, defines itself as being the antithesis of everything that tradition stands for. It calls for the automatic embrace of new technologies at all costs, the “tabula rasa” or blank slate when it comes to design and the rejection of any ideas that might perceived as being from the past. I will cover the reasons behind the rise of modernism in a later blog, but for now it is good to explore the merits of tradition. The dominance of modernism has been ensured by strict coherence to this fundamentalist dogma throughout the 20th century and it has been propped up by materials industries that have vested interests in the disposibility and built-in obsolescence that modernist architecture relies upon. But the very same things that have ensured the dominance of modernism in the 20th century will ensure its’ demise in the 21st. The seeds of modernist self-destruction were sown from the beginning; it has no foundation in tradition and the age when wasteful use of resources has been accepted and encouraged is swiftly coming to an end. 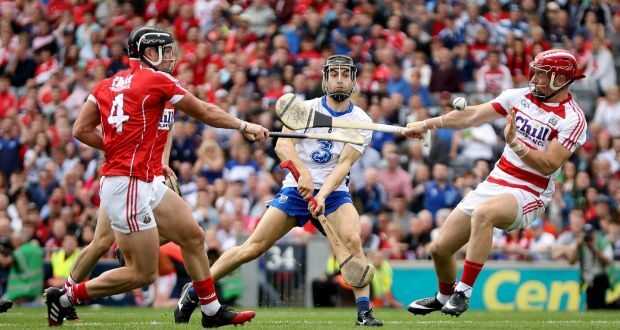 UNESCO recently granted special status and protection to traditions such as Reggae music and sports like hurling (above), describing them as having ‘intangible cultural heritage’. Surely a case could be made for the protection of architectural traditions too and not just the tangible buildings that are the result of tradition. We know from history that traditions ebb and flow, and even with modernism’s grip on the architectural establishment, appreciation for traditional architecture has been growing. Even through the darkest of times a core group of traditional architectural practitioners has survived and is it is beginning to grow. It is part of a wider movement in society that is questioning our deference to industry and perceived innovation. On a micro-scale the “Maker” movement is exploding across the globe. The reason for this is that we are all naturally programmed to make things; it fulfills a very deep and normal biological purpose. Making satisfies a deep part of out psyche, and craft objects have a quality that industrially produced objects will always fail to express. The new traditional architecture movement is an expression of the desire and need to produce a built environment that better resonates with our nature and traditions. It is only 100 years ago that all architecture evolved and derived from natural sources and human traditions. In this sense all architecture before modernism was traditional, so it is not unlikely that traditional architecture will again find it’s voice in the future. It is important to reiterate that traditional architecture is a broad spectrum of building types and purposes that have evolved over time from natural and living forms. The spectrum of types is based on varying functions and hierarchy of importance. Traditional architecture varies from deceptively simple vernacular dwellings, to defensive, utilitarian and industrial structures and then onto the highest expressions of our humanity in buildings for worship, education, justice and governance. We are all born to be Makers. Community based Maker-spaces and Fab-labs such as this one in Colorado are popping up all over the world. They allow people of all ages to express one of the most basic human urges, the urge to make. Traditional architecture spans a wide spectrum from vernacular to classical, Classical architecture being the elite form of the living natural tradition. Classical architecture by its very nature, having more elaborate purpose and budgets sets the standards in many ways. In the same way that a writer like Shakespeare has had such a deep effect on the everyday English language, so too the influence of Classical architectural is an integral part of all traditional architecture. But this influence works both ways, with vernacular traditions, skills and materials also influencing the most elite form of architecture. An example of this is how in Ireland in the 18th and 19th centuries, elaborate plaster-work developed much farther as a manual skill whereby in Britain, industrially produced moulds were more available. For a tradition to survive it must be allowed to live and breathe; and not kept in a sterile overprotective box. The term “living-tradition” refers to a tradition that is being practiced in a way that allows for diversity, growth and is mature enough to allow certain aspects be dropped when they are no longer useful. In the 20th Century the embedded complex wisdom and experience in traditional architecture was abandoned for a vastly inferior form of building culture; a building culture based on cheap technology and disposable ideas that also treats people and communities as being cheap and disposable. We are reaping the toxic harvest sown by modernism on a daily basis, and so it no wonder that so many are now turning to tradition for solutions. Tradition works a bit like Memory. As newborns, our brains start off with certain impulses and instincts but we have the capacity to learn and these lessons are stored as memories which build up as we experience the world. Memory builds up certain patterns in our mind that allow us to function efficiently and effectively, and carefully trims away the kinds of impulses and behaviours that have not proven to be useful. We all have our own internal traditions. Lessons we learn as children being tested as we grow, sometimes being set aside, but more often than not forming the basis for our adolescent and adult selves. Who we are today is built on who we were in the past. Now imagine if all that was wiped away, if we cast aside our memories or imagine if we had no capacity for creating memory. Every day we would wake up with a brain that was a blank slate. We would be free to do whatever we felt like because there would be no perceivable consequences. We would not know what things were like the day before so we would have nothing to judge them against. If we lived like this, how could we learn, or progress in any meaningful way. Memory is what gave us the ability to evolve, to communicate, to survive. If our combined culture, our humanity and society had a memory, that memory would be called Heritage. Our heritage is an essential part of our lives, it continues to inform our behaviour towards the world and each other. What would a world be like without heritage? What if the world woke up with no patterns of behaviour to help us through the day. It would be impossible, right? Architecture also has a memory too; Patterns of technology and aesthetic decision-making that have evolved into the architectural traditions that have produced some of humanities greatest physical achievements. Try to imagine what it would be like if our architecture had no memory, that we approached each new building with a blank slate, and were forbidden from looking into our memory for solution. Imagine how frightening a prospect that would be? We would be reduced to our basest instincts and impulses. Forever infantile. Well, it’s really not that hard to imagine the last example, because it is exactly how we design our buildings today; modernism wiped the slate clean, creating an architecture without any capacity for memory or qualitative judgement; just whatever random thing that is doing the rounds on that particular day, or what our most basic impulses tell us. In these articles I have set out to reclaim the definition of Classicism and the final part of the puzzle is this idea of language. The idea that comes about by basing our architecture on nature and developing it through tradition, we get to a point where we have now got a coherent code and canon of knowledge that is more commonly referred to as Classical Architecture. In a world that rejects building traditions, how can we ever progress, how can we really judge innovation when we don’t know what we are innovating from?